I always thought glasses were glasses. Now I have lens options? You sure do! 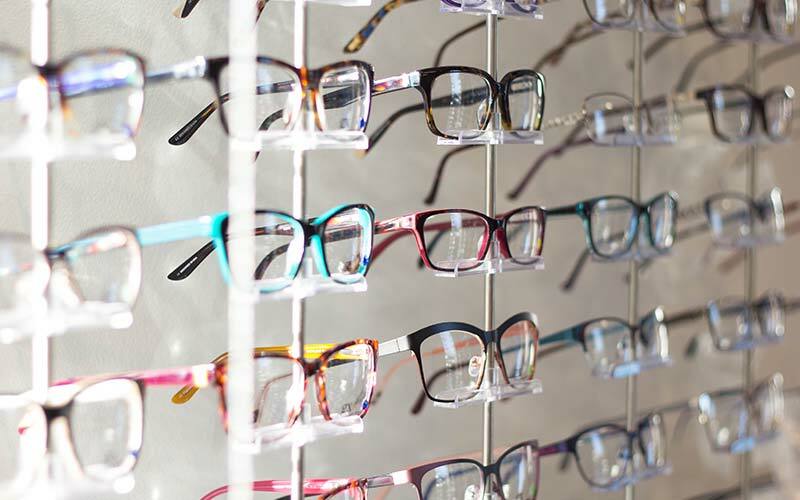 Today, consumers with vision correction needs can select from many exciting new options in lenses that can increase comfort and appearance while providing good vision. These options include lenses that are remarkably light and thin, lenses that darken in bright sunlight, and lenses with anti-reflective coatings that make it seem as if you’re not even wearing lenses. These new options are appealing for all types of glasses wearers. Whether you have a strong prescription and dislike the appearance and discomfort of thick and heavy lenses, or even if your prescription isn’t that strong, but you’d like the increased comfort and better looks that new lightweight, extremely thin lenses can provide. And for those who are presbyopic, there are new high-tech progressive lenses that offer you great vision at all focal points without the lines of bifocals. Single vision lenses are just that; they help you with a single, particular vision correction need. When most people develop a “refractive error,” they need glasses to help them see faraway objects clearly. They’ve become nearsighted (a condition called myopia), and single vision lenses compensate for this condition. Somewhat less common is farsightedness (called hyperopia), where you usually need help to see objects up close. Here, again, single vision lenses can help you to see clearly. Finally, if your distance vision is good but you need help reading up close, single-vision reading glasses can help. 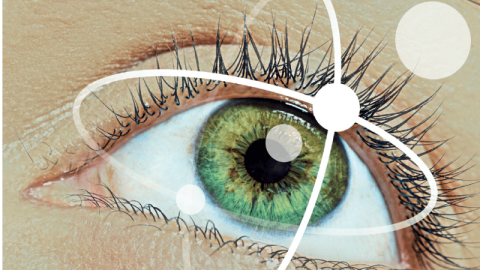 Bifocal lenses help us to see objects both faraway and close-up. Traditional bifocals achieve this with two vision zones. The top part of the lens provides the distance refractive correction. That allows us to clearly see faraway objects. The bottom segment provides the near refractive correction, called the “add” powers. This segment helps the aging eye, which around age 40 begins to lose some of its power to “accommodate” or to see objects up close, a condition called presbyopia. With conventional bifocals, the two segments, with two different “powers,” are separated by a visible line. Sometimes the near segment is a small crescent shape inset into the larger distance lens. Do bifocals take getting used to? Bifocals represent a different way of seeing the world. That takes time, but most people can do it quite easily. A first-time wearer learns to look down at what they are reading. Why would I need trifocals? You may not need them. Trifocals serve a special purpose for people with particular needs. They’re made of three zones. 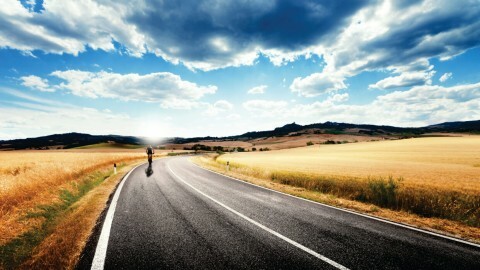 The first is a distance zone, on top, for seeing far away. As with bifocals, there’s a near zone, located on the bottom. 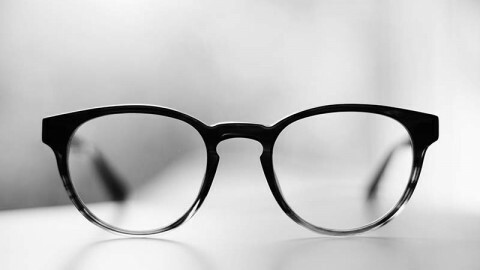 With trifocals, there’s a mid-range zone, for clearly seeing objects at mid range. Trifocal lenses are similar to bifocals, but provide a mid-range segment above the reading segment for arm’s length or intermediate viewing. What are they? And why are they called “progressives”? Progressive lenses (also called “no-line bifocals”) offer a continuous, gradual change in prescription strength from the lower (reading correction) to the upper (distance correction) portion of the eyeglass lens, providing correction for all distances. Progressives lenses derive their name from the fact that they have progressively more “add” power from the top to the bottom of the lens. In a sense, progressives are bifocals or trifocals without the lines. Are progressives easier to get used to than bifocals? In many ways, yes. Progressive lens wearers have their own “adaptation period,” which can last a week or two. During this time, you learn to locate the areas of the lens needed for different viewing distances. Progressive lens wearers find that this becomes “second nature.” As newer progressives with high-tech designs are introduced and refined, this adaptation period grows ever shorter. Of course, adaptation differs for all individuals. What if I can’t adapt? What makes the difference? Like so many things, expertise makes the difference. With scores of progressive lens designs, it takes a good eye care professional to know which one works best for you. If the first lens you try is not working out, tell your eye doctor right away. He or she can fit you in another design that works for you. A good fit is important to your success. 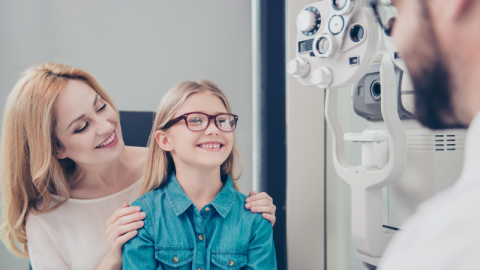 Eye doctors say they often rely upon the fitting skills of a well-trained optician to make sure that your new progressive lenses are resting in a position that yields the best possible vision. Like a good tailor, an eye doctor or optician will also recognize and adjust for any irregularities in your face. Commonly, eyes are located at slightly different horizontal and vertical distances from the nose, and an optician can adjust accordingly to maximize the performance and comfort of your new progressive lenses. Will I know if my progressive lenses don’t fit right? You certainly should. If the lenses are set too high on your face, your vision may be blurred as you gaze straight ahead or to the side. Also, you may experience double vision, “ghosting” or eyestrain that can lead to headaches. If after an adaptation period of one to two weeks, you’re not happy with your new lenses, let your eye care professional know about it. Success with progressives often requires several office visits, and your eye doctor will be happy to deal with any problem. Also, it pays to be straightforward. Your eye doctor only knows about problems if you tell him or her about them. How can I keep all this straight? Talk to your eye care professional. He or she is specially trained in progressive lenses; in fact, they keep up on recent developments in high-tech progressive lens designs through continuing education courses and information from manufacturers. If I wear bifocals now, am I a good candidate for progressives? You may well be, and your eye care professional is best trained to evaluate that possibility. Countless numbers of bifocal wearers-who wore bifocals quite comfortably-have switched over to progressives. If you’ve worn traditional bifocals for many years, having an open mind and being motivated makes all the difference in success with progressives. 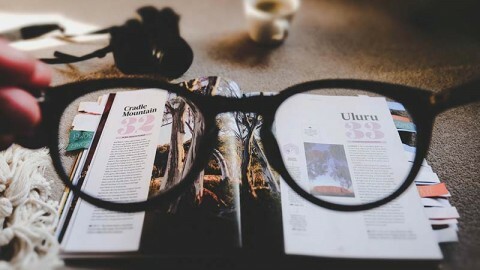 In many ways, progressives are “easier” than bifocals, and you may need to “un-learn” certain motions that you make with bifocals-and “relax” into the comfort of progressives. Lenses for computer use and other special needs. I wear glasses for reading, but I’m having difficulty seeing my computer screen clearly. 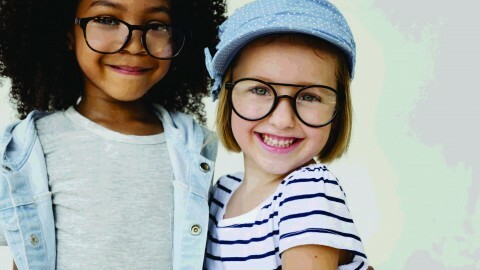 Many people who need near-vision correction wear single vision lenses (lenses that have a single prescription throughout the entire lens) or traditional reading glasses. But these options do not provide clear vision for objects in the mid-range area-from two to seven feet away. 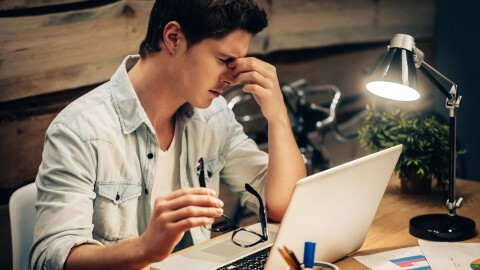 This inability to focus clearly in the mid-range area not only interferes with work-related tasks, but with many leisure time activities as well. Whether you’re a computer user, an artist or a musician, if you need to maintain clear, uninterrupted vision from reading distance up to seven feet, you can benefit from enhanced near-vision lenses. With all these lens options, how do I keep it all straight? Ask your eye care professional. If you express your vision and lifestyle needs, your eye doctor or trained staff member can guide you to a variety of lens options and enhancements that are right for you!